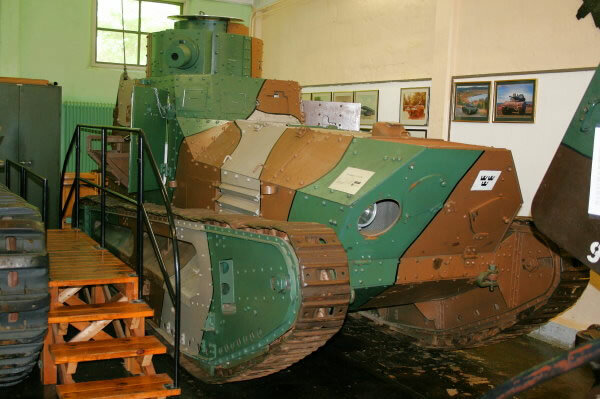 The German LKI (Leichte Kampfwagen) was a prototype built in 1918 by J. Vollmer who had proposed that a large number of more lighter and less sophisticated tanks could swarm the larger and lesser numbered British MkI (and other similar more modern) Tanks. The designs and a prototype were passed on to Sweden and entered production in 1920 with a small turret mounting a Machine Gun. A command and control tank was also developed with 2 way radio equipment.